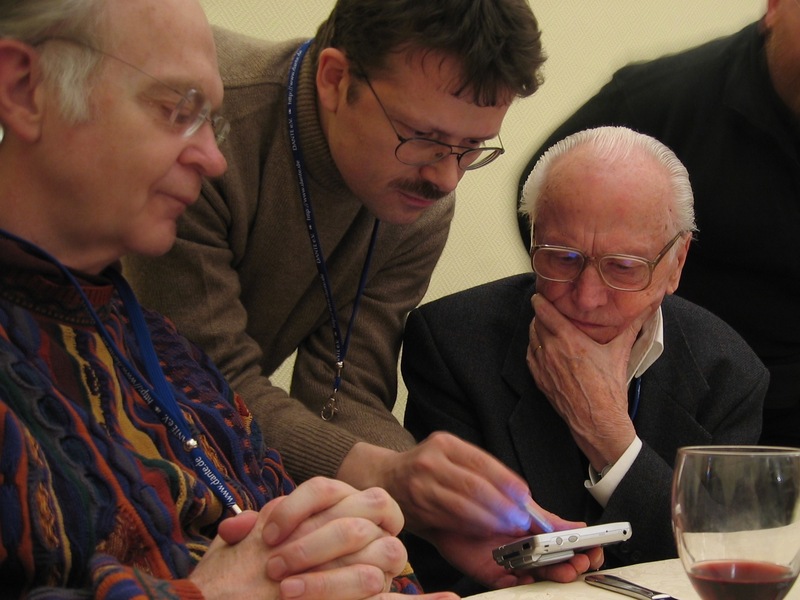 I have just heard the sad news that Hermann Zapf, one of the greatest type designers, passed away today. If the name “Zapf” rings a bell, that is because he designed Zapf Chancery, Zapf Dingbats, and the beautifully flowing Zapfino with the myriad typographic variations. But the most popular of his creations are probably Palatino, and Optima, which is a timeless classic, bridging the gap between serif and sans serif faces. It is hard to overestimate the influence of Hermann Zapf on modern type and printing. 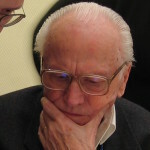 Knuth and Zapf took part in an informal one hour question and answer session. This was a delight to watch and it was during this session that I suddenly got the inspiration that we should be recording, at least in audio – It can’t be that hard. And I decided there and then that I would do my best to record every conference I would go to. This was how River Valley TV (now Zeeba TV) was born. Perhaps this is a good time for us to remind ourselves that scholarly books and journals can be produced with the same beautiful typography as coffee table books, if only we care enough. Technologies invented by Knuth and others, combined with the design prowess of typographers like Zapf allow us to do this with almost total automation. to my sorrow, it was not a tug meeting, or i would most likely have been present. the meeting was actually euroTeX 2005, in pont-a-mousson. wish i’d had a chance to meet him. Thanks for the correction, Barbara. Yes, it was EuroTeX, else you would have been there. Shame.